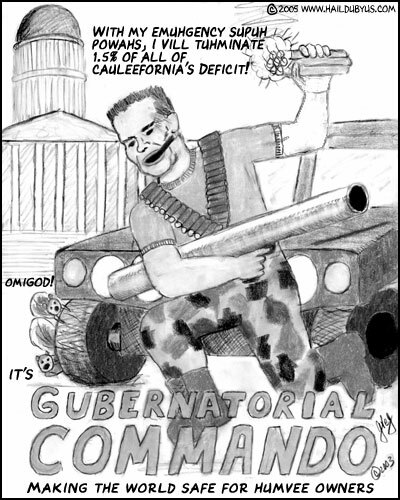 Watch Out, Sacramento, It’s The Governator! | HAIL DUBYUS! Watch Out, Sacramento, It’s The Governator! Action figure only. Batteries and Humvee sold separately.